Small, wooded dissenters' cemetery in the city centre. 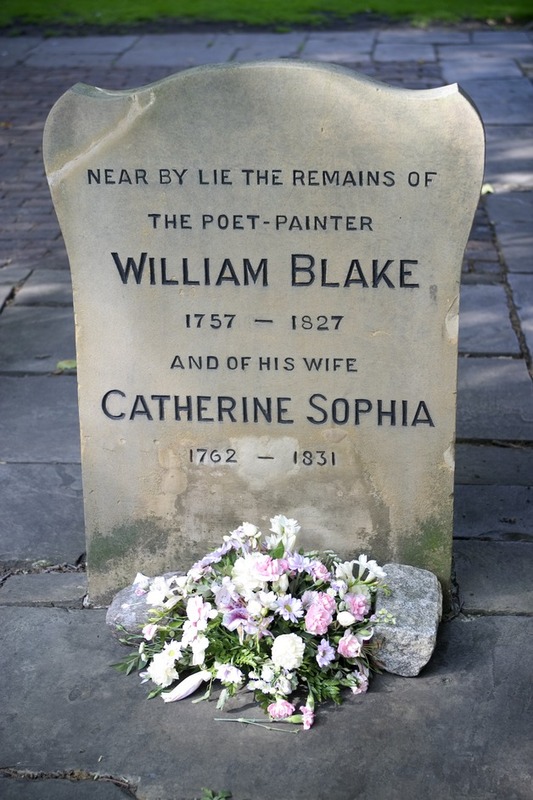 William Blake, John Bunyan and Daniel Defoe are among over 120,000 nonconformists whose bodies are squeezed closely together within this small, city centre burial ground. Covering only four acres, Bunhill’s graves are crammed one on top of the other, as was the custom before the 1830s and the introduction of bigger, out-of-town cemeteries. Being both small and centrally located, this is the perfect place to go to escape the clamour of the city; for a short investigative exploration of the graves or simply for a sneaky, shady, rest. Nearby workers often make the most of the plane, oak and lime trees that adorn the grounds, heading into the cemetery for midday picnics or a catnap. Wildlife, too, is drawn to the park. Tawny owls, magpies and nuthatches breed under the woodland canopy. If you’ve got time, hop next door to the Quaker Burying Ground - the burial place for London Quakers since 1661. City centre cemetery, Dafoe, Blake and Bunyon, plane trees and tawny owls. The name "Bunhill" comes from the phrase "Bone Hill". What are the best dining options near Bunhill Fields London? Bunhill Fields gyms, sporting activities, health & beauty and fitness. The best pubs near London Bunhill Fields. Bunhill Fields clubs, bars, cabaret nights, casinos and interesting nightlife. Where to have your meeting, conference, exhibition, private dining or training course near Bunhill Fields. From cheap budget hotels to luxury 5 star hotels see our discounts for Bunhill Fields hotels, including Courthouse Hotel Shoreditch from 80% off.